Kate Richardson, originally from Guildford, came to Cornwall 15 years ago to work as an Occupational Therapist and quickly fell in love with the place she now calls home and where she lives with her teenage children. The abundance of galleries in the area sparked a dormant desire to balance her ‘thinking and problem-solving job’ with one allowing her to be creative. 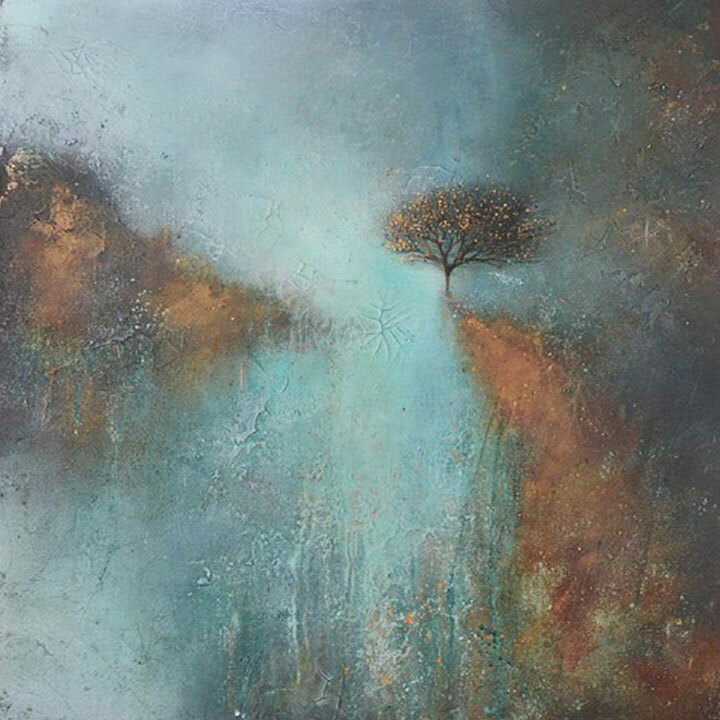 It was at this point she started building a body of work in her signature style, abstract landscapes. 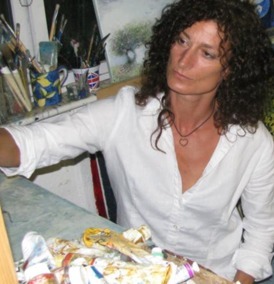 Kate is now a full-time artist, exhibiting nationally and at the London Art Fairs. 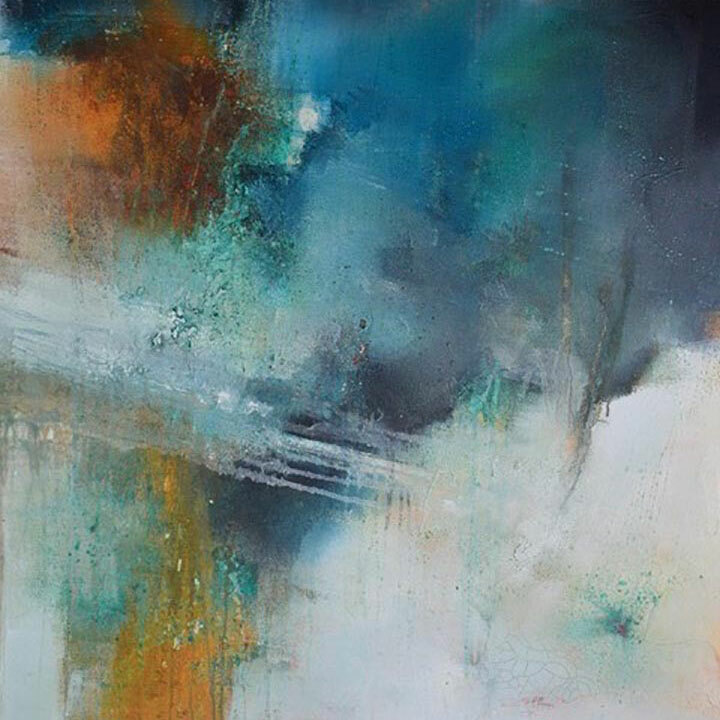 Working in oil and mixed media, Kate’s abstract work is a unique expression of freedom bound by minimal use of colour yet boundless in its imagination. 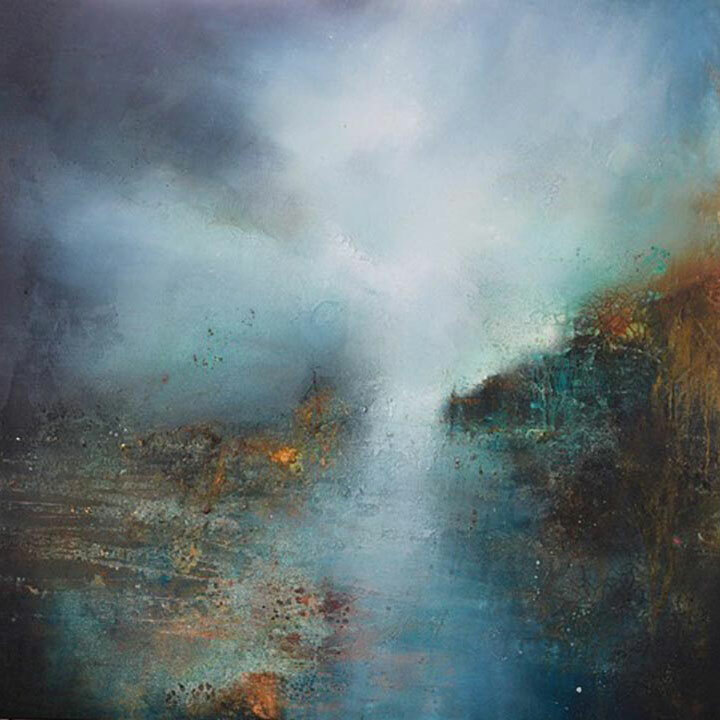 Shapes and colours emerge and fade with gentle subtlety, inspired by the infinitely sub-conscious mind, providing compelling drama. I first started when I discovered Instagram, iColorama and Stackables; taking photos, editing them and uploading them for immediate feedback was addictive. I chose digital art because it’s easy and fun and gives you immediate results. To what artistic styles are you particularly drawn? The style I would say I’m most attracted to is abstract, landscapes in particular. I get inspired by many things: my fellow abstract artists and photographers on social media, and living by the sea. As an artist, I would have to say the joy of creation. That would be Reflexia. It seemed to paint itself, and when I edited it and uploaded it to Instagram, the colours shone, and it took on a life of its own. I don’t know if you’re happy or sad, your work is difficult. I experiment more and learn from my mistakes. Nothing – my advice to others is to paint and photograph as much as possible. I use iColorama; it’s by far the best mobile editing app. Do you use images from stock sites as well as your photos and if so, which are your favourites and why? I don’t use stock images. I prefer to work with my photos. And finally, do you think people dismiss digital art as a valid art form? Possibly but it is gaining strength. Thank you so much for doing this interview, Kate!